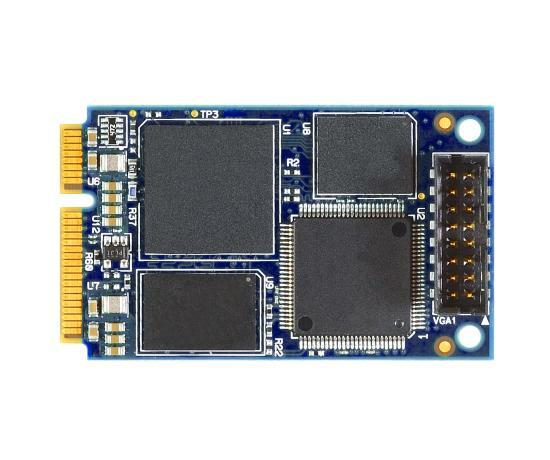 The nanoGrabber-HD-RGB/STANAG is a high performance, high definition, raw video framegrabber miniPCI-Express card. The nanoGrabber-HD-RGB/STANAG provides a powerful and flexible solution for capturing analog RGB HD sources for local system display or software analysis and processing. The small form factor of the nanoGrabber-RGB/STANAG makes it ideal for a wide range of embedded applications in the most demanding environments. The nanoGrabber-HD-RGB/STANAG can capture from a wide range of analog RGB video sources. VGA, RGSB (sync-on-green) and Stanag3350 sources can all be captured. The flexible capture engine supports a wide range of input resolutions allowing data to be captured from a wide range of sources and sensors. The captured video data can be streamed continuously to system memory or disk for either immediate local display or further processing. The nanoGrabber-RGB/STANAG is supported by drivers and example applications for Windows and Linux.